Originally drawn up in July 1918 to fight the Germans in World War I, the 100th Infantry Division did not participate in the war because of the November 11 Armistice. It was then reactivated in November of 1942 and again began to prepare for war with the Germans. Arriving in France in October 1944, the division launched an offensive through occupied France and breached the heavily defended "Winter Line." The division continued on its offensive and captured Fort Schiesseck, a German defensive position near the French town of Bitche. During the Battle of the Bulge, the 100th Division successfully held its line despite numerous German counterattacks. Then in March of 1945, the 100th Division again went on the offensive and finally liberated Bitche. The division continued to push through France and soon crossed the Rhine River. The men of the 100th Division then fought a bloody nine day battle with the Germans at the town of Heilbronn before continuing on through Germany, eventually receiving orders to patrol the area around Stuttgart. After V-E day, the 100th Division served occupation duty in Germany. During its time in Western and Central Europe, the division liberated over 400 towns and villages from German occupiers. 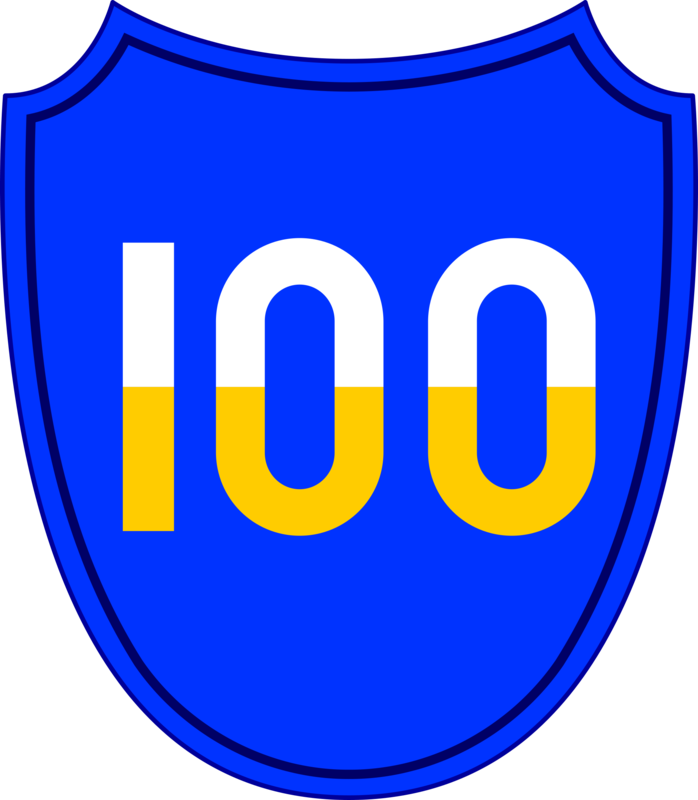 During the Cold War, the 100th Division was again activated, first as the 100th Airborne Division, and then as the 100th Division (Training). It still performs training missions for the US Army today.